The prosecutor laid several charges against the activist group including the formation of a criminal organisation that could see activists fined or even imprisoned for up to three years, Kronen Zeitung reports. According to the prosecutor, the aim of the various actions of the Identitarian movement was to “incite hatred against the religious society of Islam, against Muslims, foreigners and refugees, and especially Turkish nationals, and to scorn and discredit these groups through insults in public opinion”. In their statement, the prosecutor listed several different actions to prove their case including a protest in which the group put a banner on the Graz Green Party headquarters saying “Islamisation Kills”. The action in which the group dropped a banner over the Turkish embassy with the words “Erdogan take your Turks home” was also cited as inciting hatred. The protest came after Turks in Vienna marched in the streets in support of Turkish president Recep Tayyip Erdoğan following the summer 2016 coup attempt. Turks later rioted in Rotterdam when Turkish ministers were forbidden from campaigning in the Netherlands for a constitutional referendum in which Erdoğan dissolved the position of prime minister. Co-leaders of the Austrian Identitarians, Martin Sellner and Patrick Lenart, are owners of a clothing brand called Phalanx Europa which is also part of the prosecutor’s case. According to the prosecutor, both men earn a living from the clothing brand and use it to finance further Identitarian actions and spoke of potential income tax violations relating to the business and said the pair use Identitarian actions to improve sales of their merchandise. 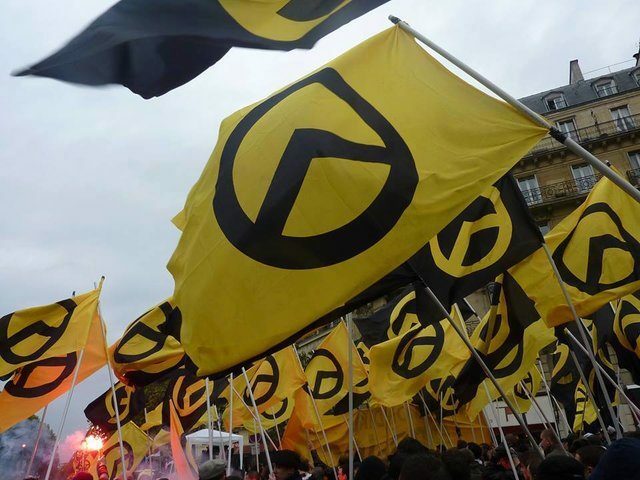 In a press release, the Identitarians condemned the prosecutions saying the group “rejects all allegations in the strictest sense”. The prosecutions come less than a month after the same prosecutor ordered police to raid several offices and private homes, including Martin Sellner’s. The raids, according to the prosecutor’s office, are not connected to the charges announced Monday but to a separate investigation.